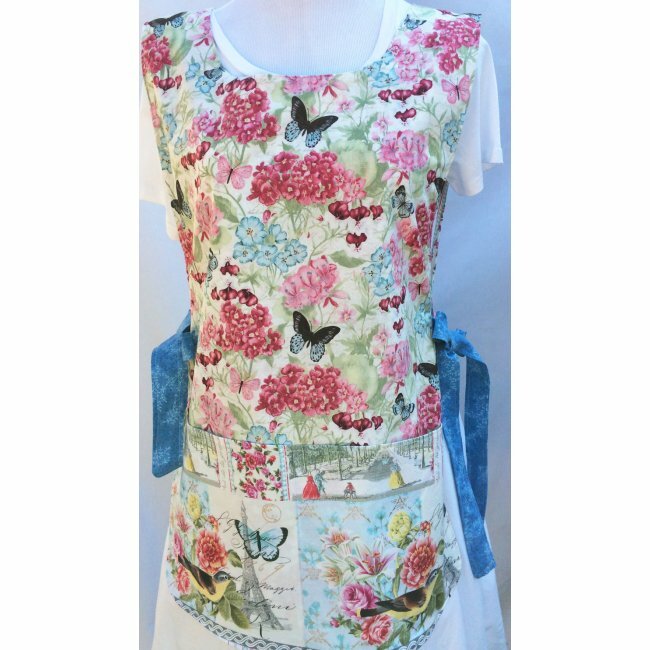 This stunning bird, floral, and butterfly apron, is simply beautiful. 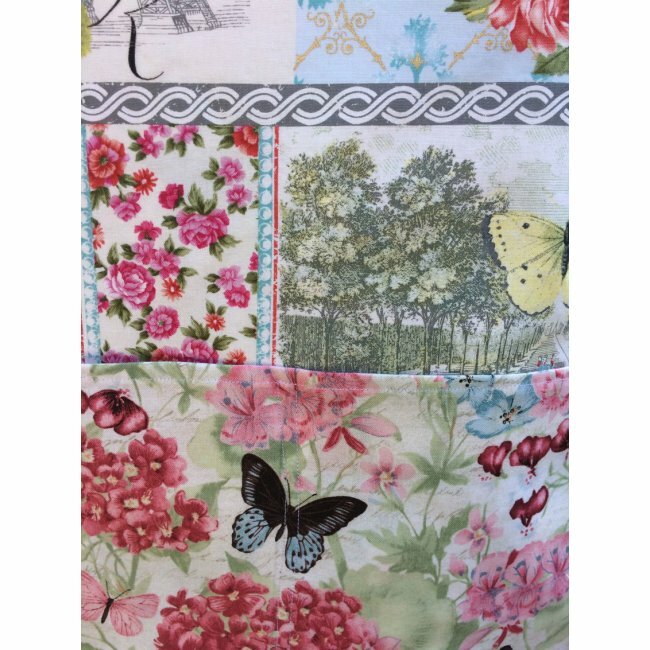 The colorful birds and flowers adorn the main part of this cobbler apron, while using the pretty and colorful butterfly fabric for the pocket. 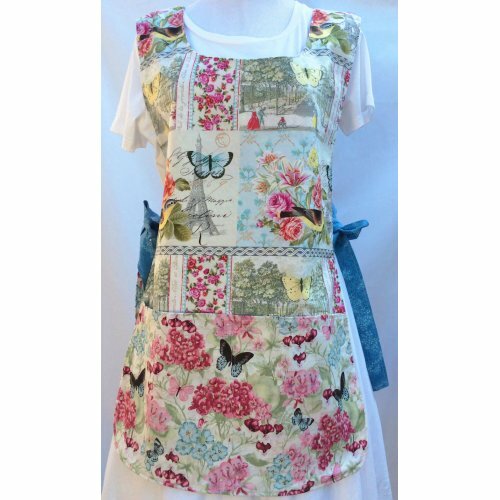 The reverse side of the apron, has the butterfly print for the main apron, with the bird fabric for the pocket. The blue straps fit so perfectly with the blues in the apron. We have two cobbler aprons using the two beautiful prints. 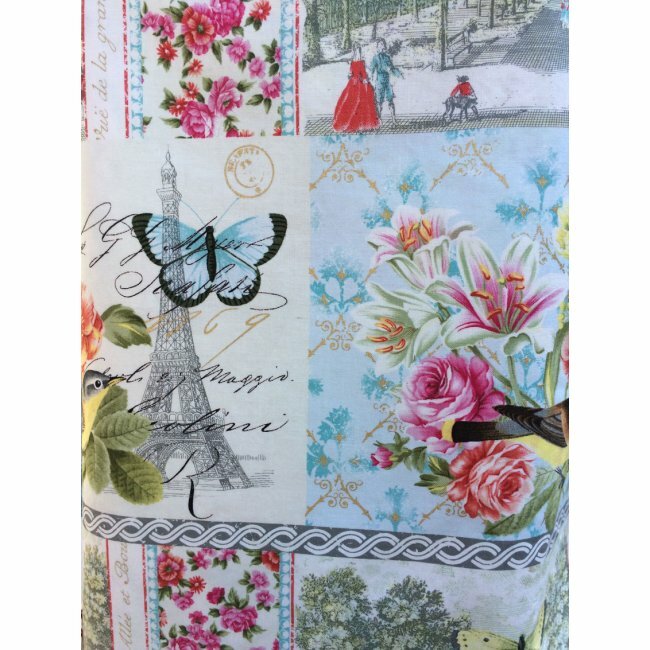 Since the placement is completely different, we chose to list them separately.